It’s about time our bibliophilic city had a legit literary fest. 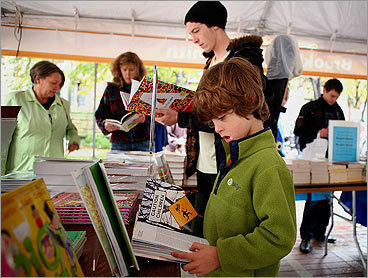 The inaugural Boston Book Festival in October drew more than 12,000 attendees to locations around Copley Square and offered something for everyone: panel discussions with best-selling writers from Richard Russo to Anita Shreve, a poetry jam with Robert Pinsky, and (why not?) a “sexiest vegetarian alive” session with actress and author Alicia Silverstone. We can’t wait to see who shows up this year. Who Knew Boston Could Dance?